What are the best companies to work for? Which employers offer good salaries? How much does someone in my line of work usually make? 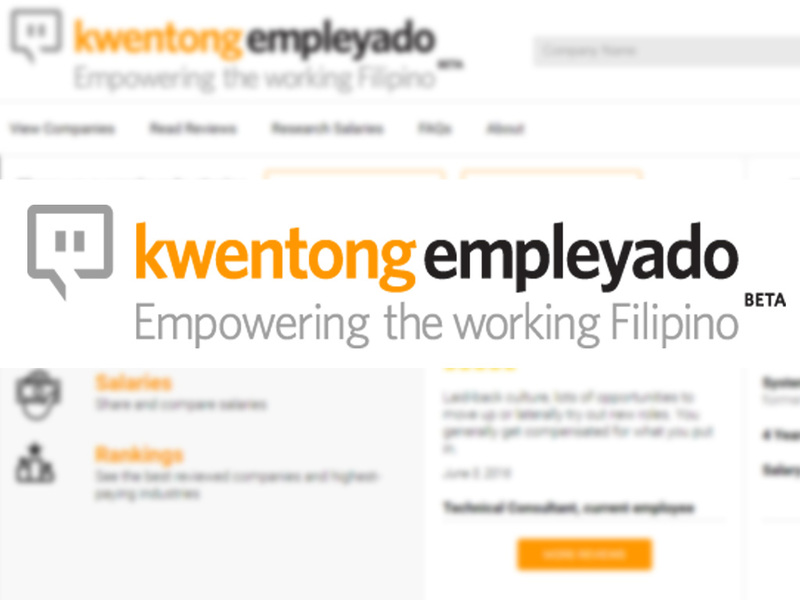 All of these are questions that Kwentong Empleyado hopes to answer for Filipino employees. 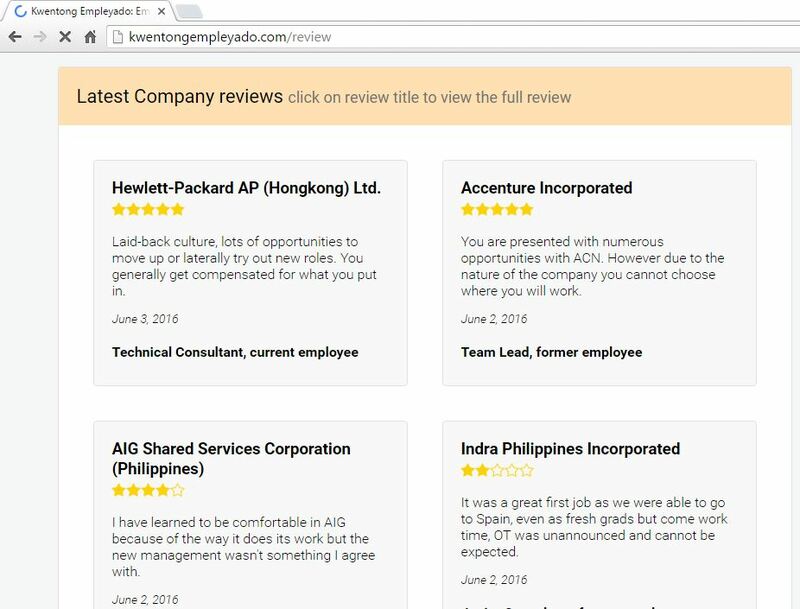 The website aims to empower the working Filipino by being the Philippines’ go to source for company/employer reviews and salary listings. 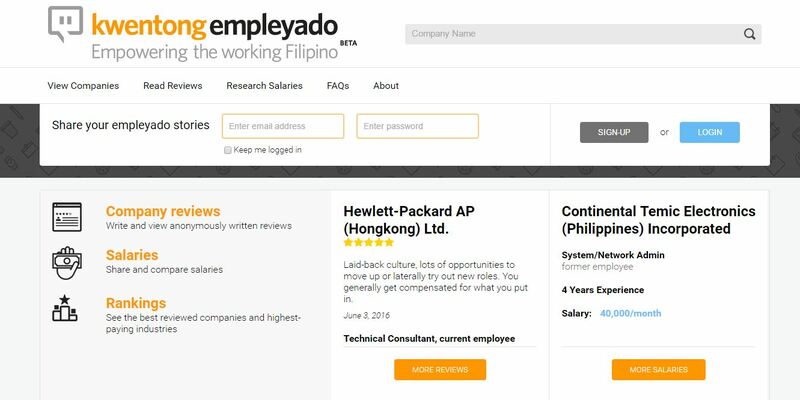 It’s tailor-made for pinoys, with a constantly growing list of the country’s employers and salary listings shared by Filipinos from all walks of life. Kwentong Empleyado does not collect any type of personal identifiable info upon registration, which means both salary listings and company reviews are completely anonymous. The email addresses of registered members are not shared with anyone and are used for login purposes only. In addition to this, no personal info is required when writing company reviews or sharing salary info. Kwentong Empleyado is currently in beta testing phase, so some of the information may be limited. There are planned set of features that will be rolled out gradually soon, they're constantly improving the site’s user experience and thus making it more functional in the future. Register now and start writing company reviews and/or comparing salaries.